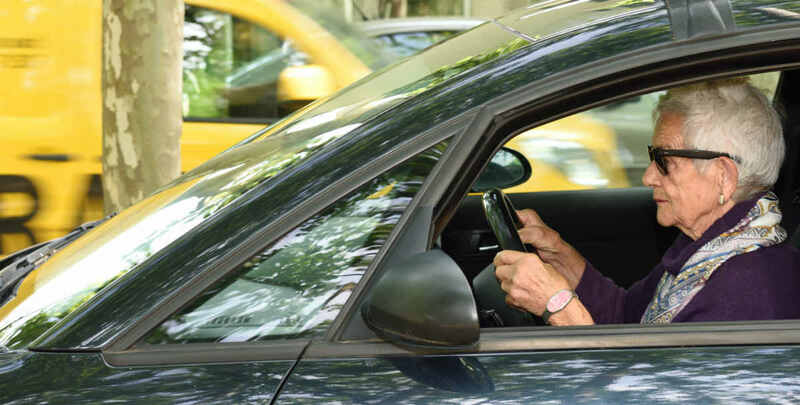 Seniors face unique risks while driving. Here’s why car accidents are particularly dangerous for them. Most of us are aware that teens are the age group that is most likely to be involved in a fatal car accident, primarily because they are the least experienced drivers. However, some may not realize that seniors have the second highest car accident fatality rate . This is despite the fact that they drive significantly less and are usually safer drivers compared to other age groups. According to the Centers for Disease Control (CDC), seniors are more likely to wear a seat belt compared to other age groups. Still, 16 senior drivers get killed in car accidents and 700 are injured each day. The risk of death in a car accident increases significantly after age 70, and is highest for those ages 85 and older. In this post, our St. Louis auto accident attorney will discuss some of the unique risks faced by seniors while driving, and why car accidents prove particularly dangerous for them. According to AAA, although American seniors generally limit themselves to safer driving conditions, they are often outliving their ability to drive safely by over 7-10 years. Decreased flexibility and weaker muscles often make it difficult for them to push pedals, turn the wheel and check blind spots. Some seniors are unaware of the effects their medication may have on their driving ability. With age, eye problems become more common. Eyes need more light and more time to adjust to any changes in light, and peripheral vision diminishes. All of this can hinder a person’s ability to drive. Similarly, hearing loss can cause senior drivers to miss sirens or horns that indicate danger. Sleep apnea, diabetes and some other health problems are also common in seniors and can cause fatigue. Parkinson’s Disease, arthritis and similar health conditions can affect range of motion, strength, coordination and flexibility, which can impair driving performance. Most seniors have some kind of cognitive issues and this affects their ability to drive safety. Seniors often have a slow reaction time, poor memory and they may struggle with decision making. The aforementioned factors increase the seniors’ risk for a crash, but they are not the primary reasons behind the high fatality risk. The key problem is that senior drivers are more likely to suffer injuries in a collision of any speed and severity. Their fragile bones are susceptible to breaks even with minor impact. They are also more likely than any other age group to die from injuries. Moreover, the risk of post-injury complications is also high among seniors and the recovery times are longer as well. According to the CDC, car accidents are the second most common cause of injury among seniors. Have you been injured in a St. Louis automobile accident? If you have been injured in a St. Louis automobile accident caused due to the negligence of another driver, you are likely entitled to financial compensation. Give us a call 24/7 at (314) 361-4242 to schedule a FREE case evaluation with an experienced St. Louis car accident lawyer.